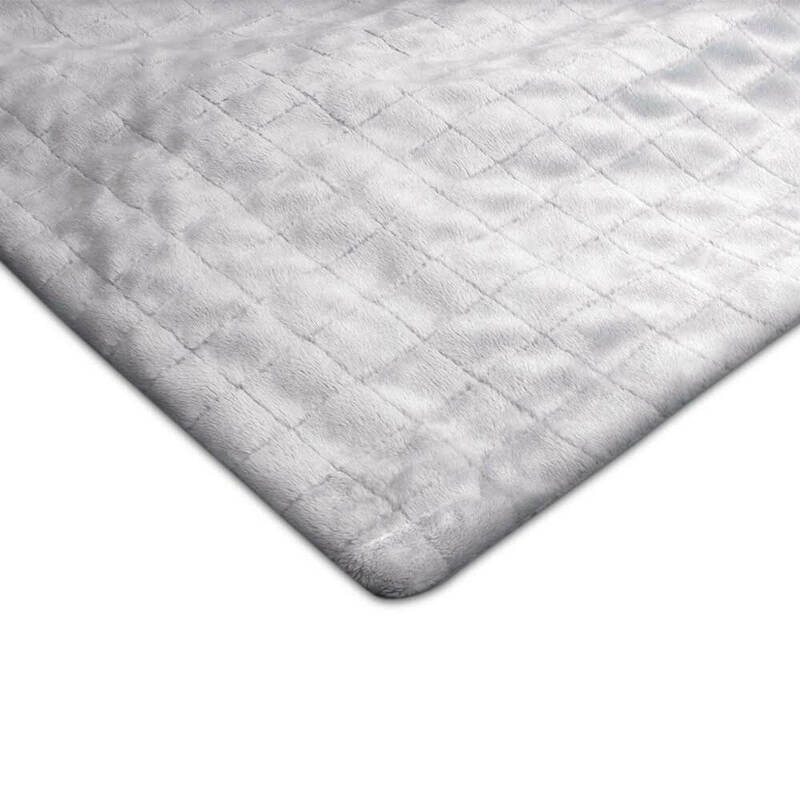 The weight of the Gravity Blanket should be about 10% of the users body weight. Pay by invoice or installment purchase possible! 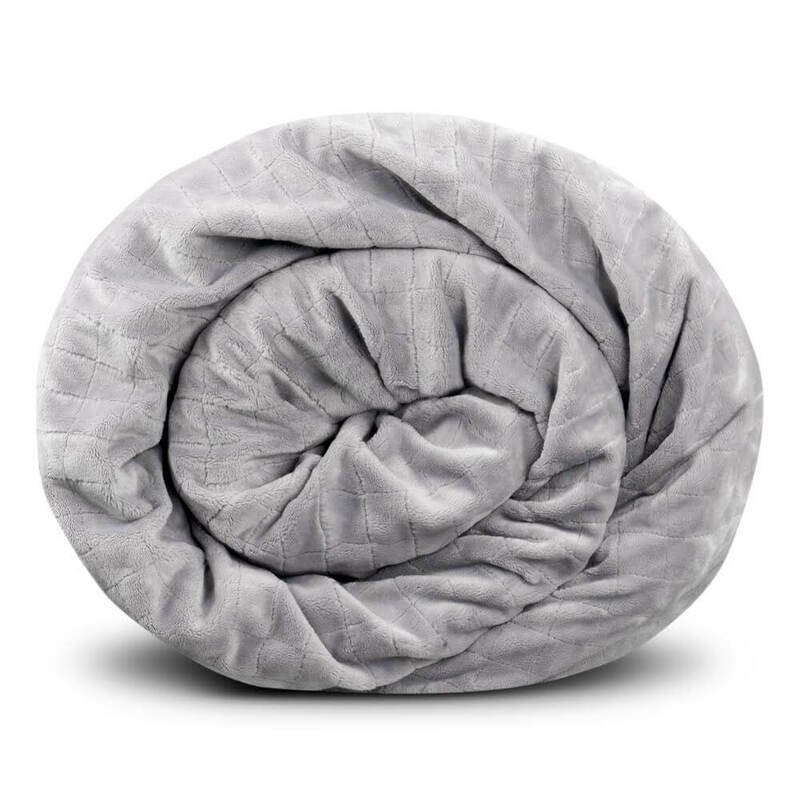 Handmade and high-quality weighted blanket that can help with stress, anxiety and sleep disorders, as well as developmental disorders such as ADHD, Down syndrome, Asperger syndrome or Autism. 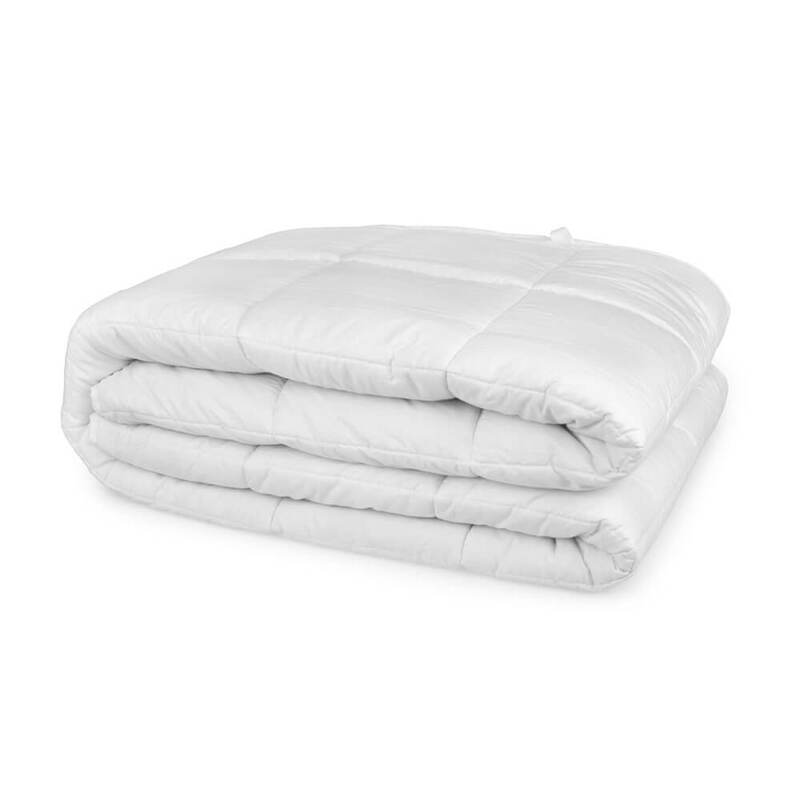 Complete relaxation of the body and nervous system is created by the gentle pressure of the weighted blanket, that spreads evenly throughout the body. You can now fall asleep peacefully or relax on your couch. It helps eliminate anxiety and calms you down giving you a good night's sleep. 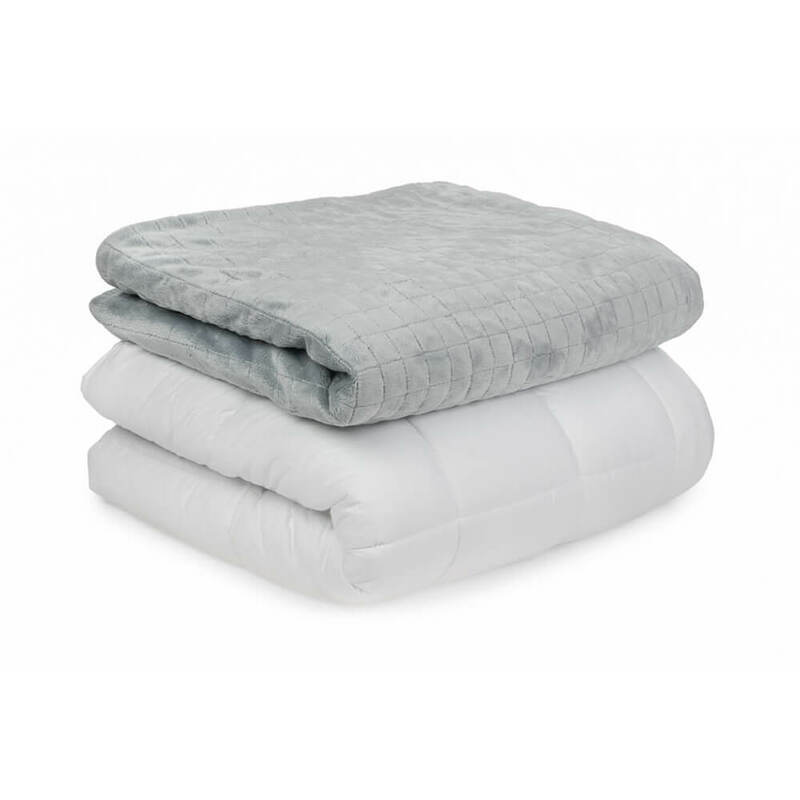 Increasing well-being - The weight of the blanket can increase the overall well-being enormously and make you at least a little bit more satisfied. 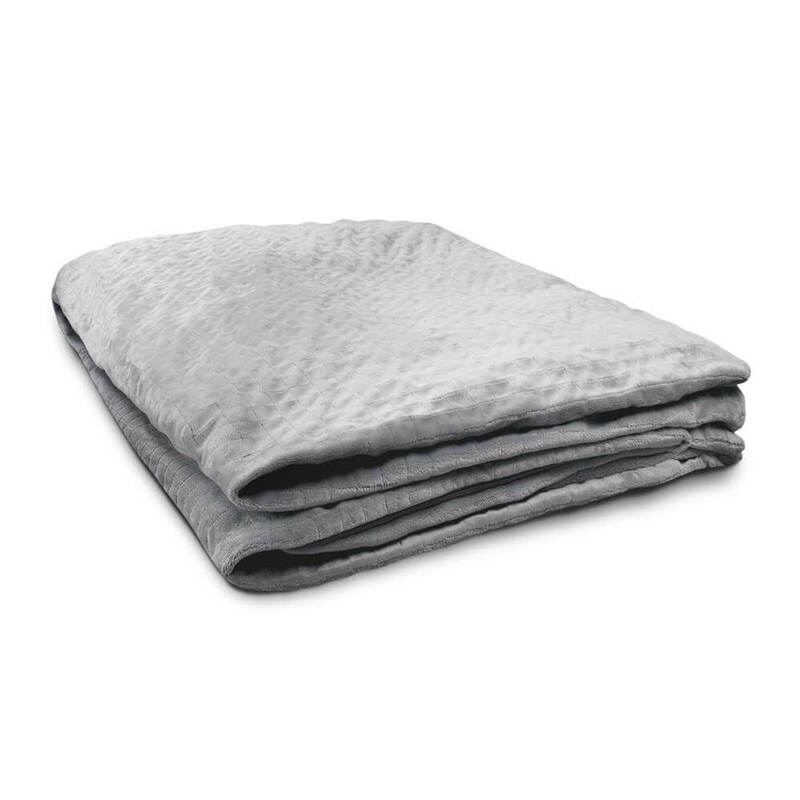 Soft, warm, cozy and high-quality cover - The Gravity Blanket® outer cover is plush on one side and velvet on the other side. It is fully hypoallergenic and comes in grey. 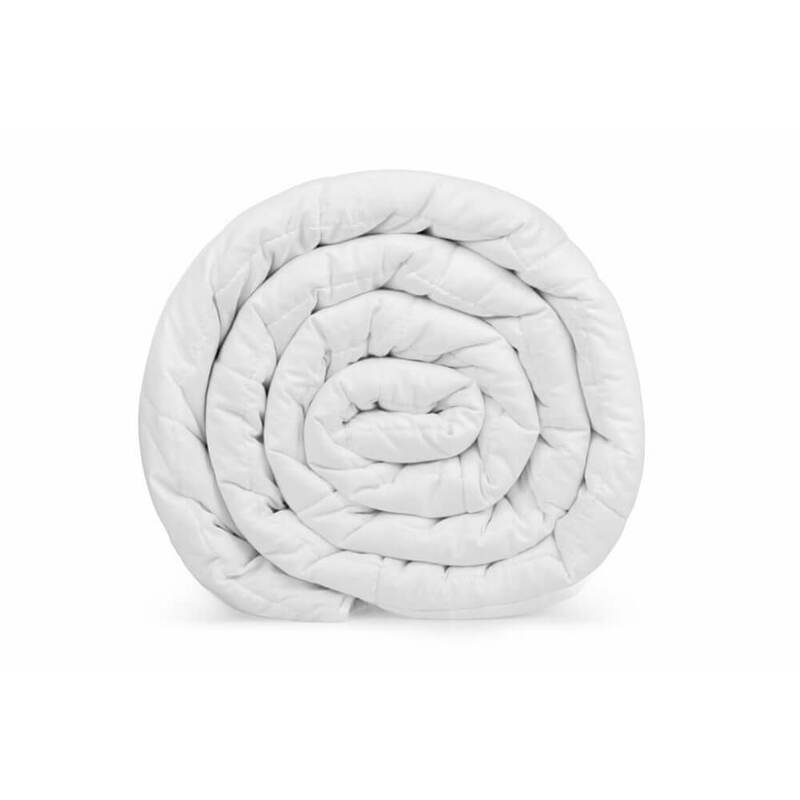 That is what makes our Gravity Blankets® so cozy.The cover and the blanket can be washed at 40 degrees in the washing machine. 28-day trial sleep - We guarantee that your mood and the quality of your sleep will improve within 28 days trial period. If not, we will send you your money back. Guaranteed ! 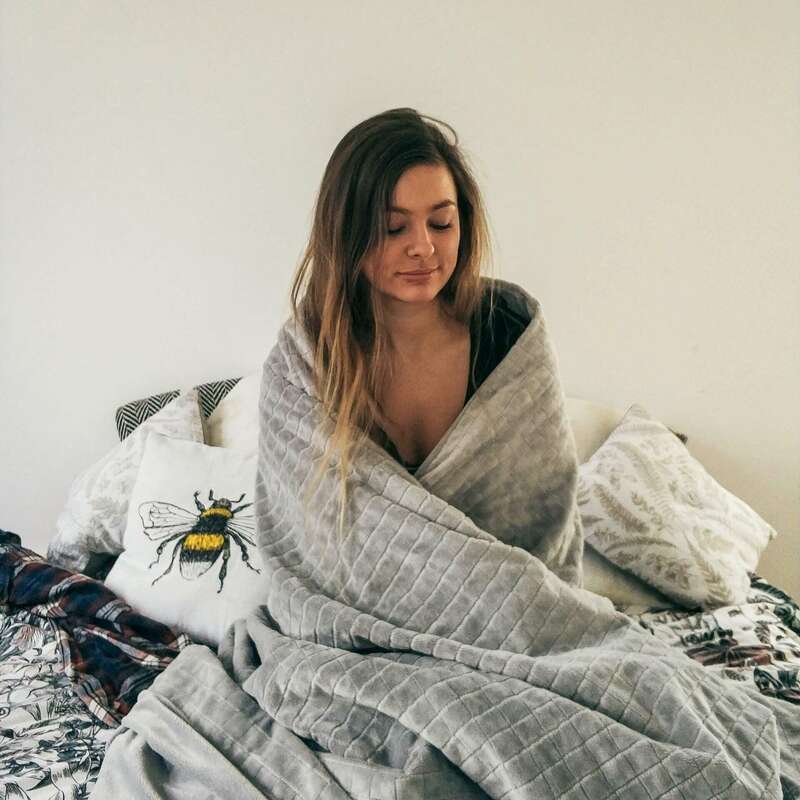 Our blankets are custom made in Europe using ultra-soft and breathable 100% organic, hypoallergenic and certified cotton (Öko Tex Standard 100 seal), which is organically grown in Spain. 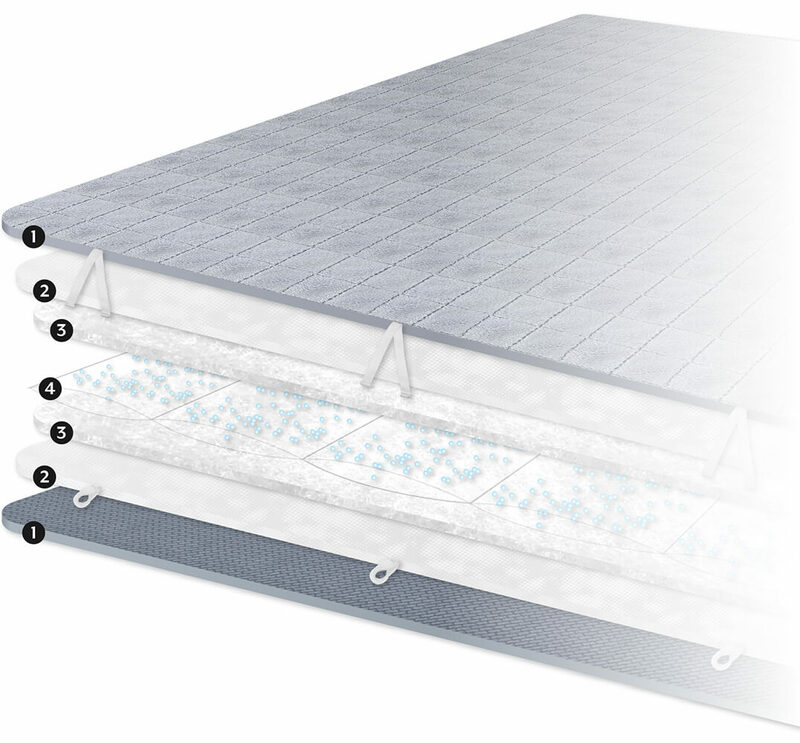 The blankets are quilted and sewn into square sections to create pockets for the glass micro bead filling, that will produce the acquired weight and ensure that the weight of the blanket is evenly distributed over the entire length & width. 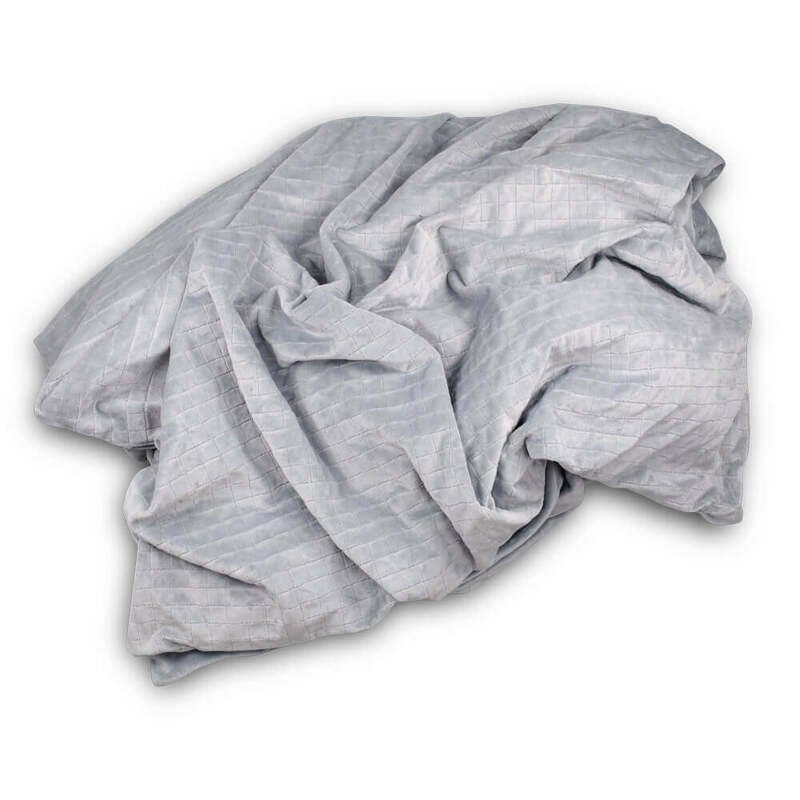 The Gravity Blanket® cover is made of cotton and polyester. Learn more about the manufacturing process HERE. Please be informed that our products are custom made and are ready to be shipped to you within 3-5 days. Free shipping with DHL usually takes 2-3 business days and we guarantee delivery in UK & EU within 14 business days. 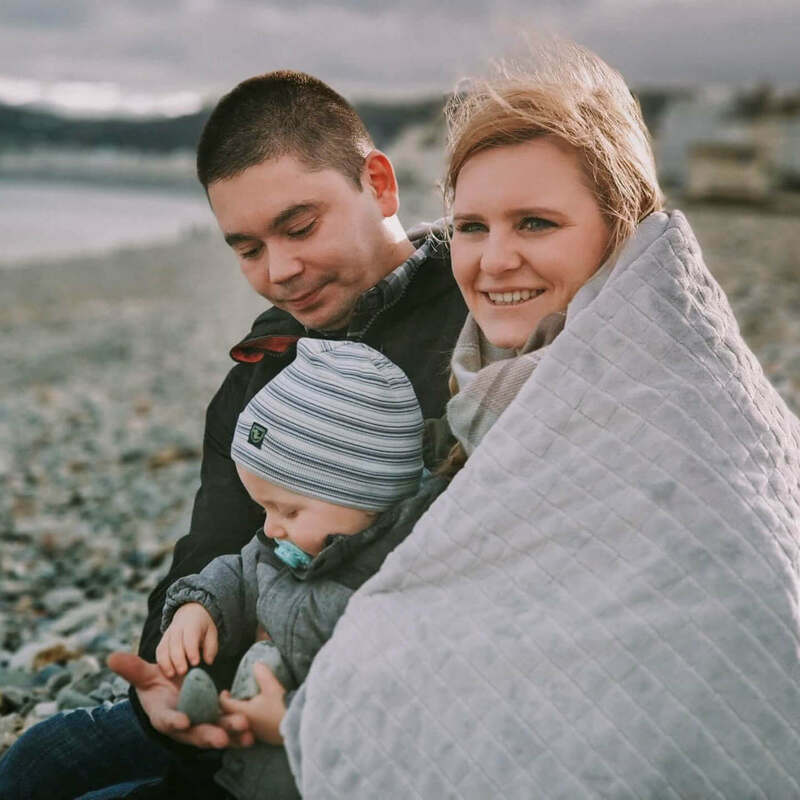 40 days after receiving the Gravity Blanket®, our customers will receive an e-mail with the possibility to share their experience with their new blanket. You can read some them now HERE. 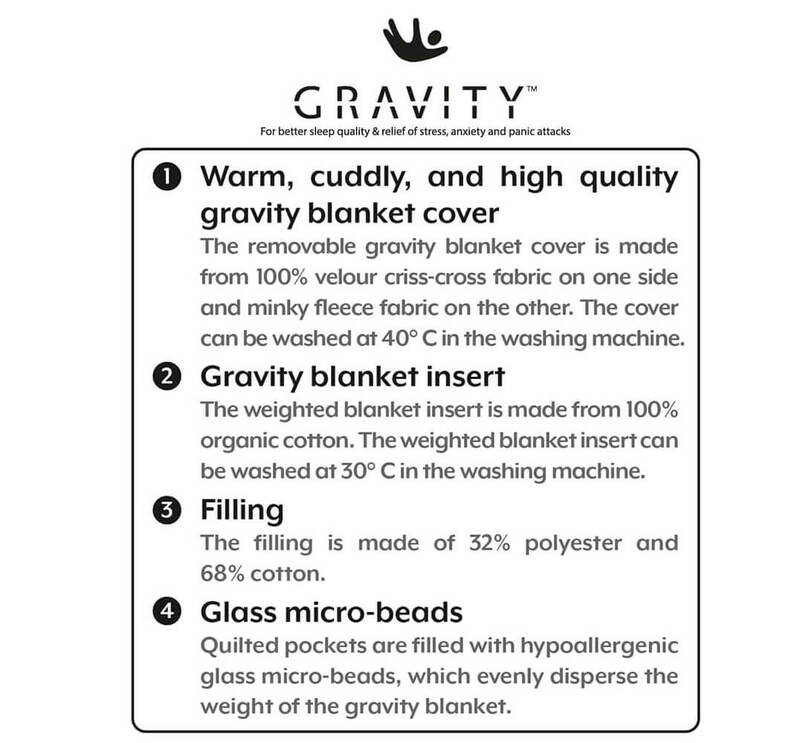 If you own the Gravity Blanket®, please share your experience with others and help us improve our services and our products.